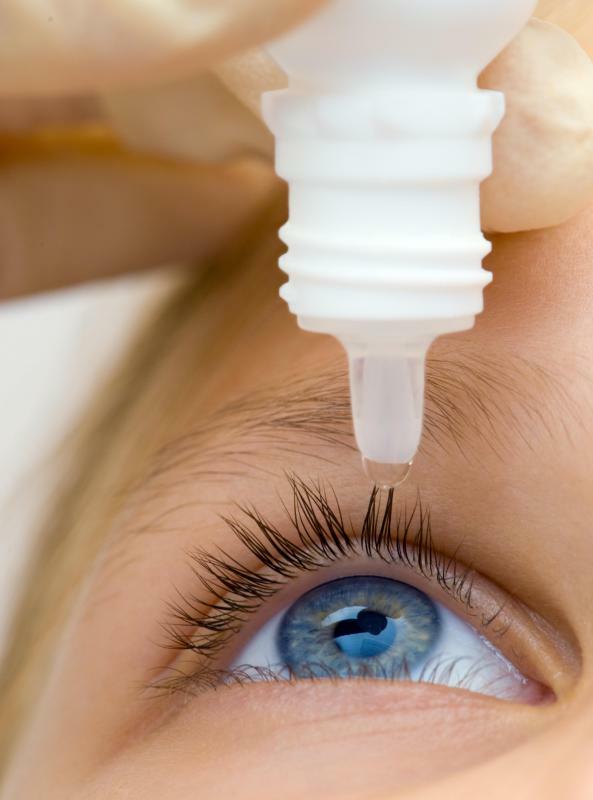 What are Antihistamine Eye Drops? 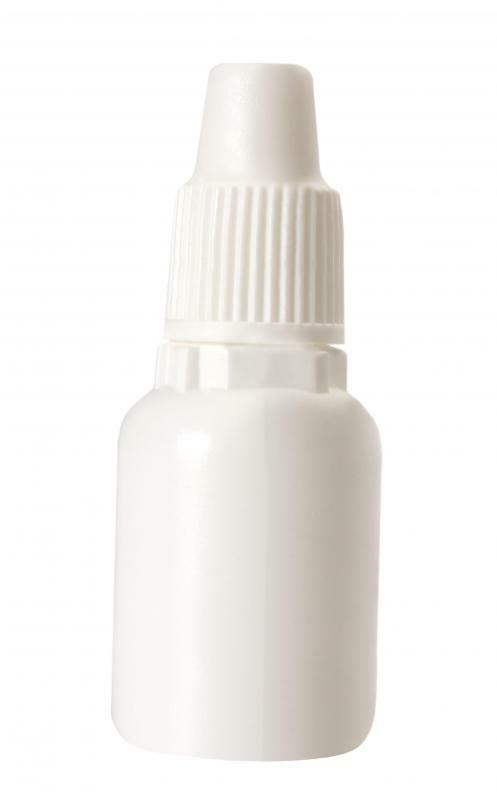 Antihistamine eye drops are applied by squeezing the bottle while positioned directly over one eye. Antihistamine eye drops can help prevent an allergic reaction by stopping the action of the chemical histamine. The drug works by attaching to the receptors responsible for producing histamine and thus disabling them. The eye drops are available with only antihistamine or in combination with a decongestant. They can be prescribed or purchased over-the-counter. The primary function of antihistamine eye drops is to block the effects of histamine receptors found in the conjunctiva, a layer of clear mucous that covers the whites of the eyes and the inside surface of the eyelids. Blocking the attachment of histamine to the conjunctiva prevents allergic reactions. Histamine is stopped before it can have any effect. Application of antihistamine eye drops usually provides fast action and should last for several hours. The medication can offer protection against plant allergens such as grass, ragweed, and pollen. It can also prevent itchiness caused by a reaction to animal hair and dander. Some of the different types of antihistamine eye drops include azelastine, Patanol®, emedastine, pheniramine and ketotifen. Though antihistamine tablets can also be used to treat allergic reactions in the eyes, they do not tend to be as direct or immediate a solution as eye drops. They also dry the eyes more than drops. Many doctors prefer to treat eye irritation at the site in order to achieve better results and avoid taxing other body systems. The drops can have even less effect on the rest of the body if the inner corner of the eye is depressed for a few moments after application, thus blocking the drops from traveling through the body. Antihistamine eye drops work primarily to stop itching in the eyes. Though they can offer some relief, they do not have much effect in reducing swelling or redness. As drops with decongestants do address these problems, some patients find it most beneficial to use a product that combines both kinds of medication. While antihistamine eye drops do not have a strong potential for abuse, drops with decongestants do and products that combine the two should be used with care. Most of the side effects associated with use of antihistamine eye drops are mild and not as severe as the allergies the medication addresses. They include headaches, sleepiness, and a mild burning or stinging sensation in the eyes. There are also some rare side effects associated with the use of eye drops in general as they are absorbed by the body, including headache, slow heart rate, and dizziness. What Factors Affect Phenergan® Dosage? What Are Latanoprost Eye Drops? What Is the Difference between Artificial Tears and Eye Drops? What Are Sodium Cromoglycate Eye Drops? What Are the Risks of Using Expired Eye Drops? @MikeMason-- There are good OTC allergy eye drops, but you need to look at the ingredients, don't buy any random one. Some antihistamine eye drops have additives in them that can be irritating. So go for a basic eye drop with just saline solution and antihistamine medication. Also, look for an eye drop that has carboxymethylcellulose sodium. That's a hydrating ingredient. Antihistamine eye drops for allergies make my eyes so dry! They actually make things worse for me because when my eyes are dry, they feel more irritated. I don't know, maybe it's because I use OTC ones. I get conjunctivitis every year from seasonal allergies and I have to use antihistamine eye drops. My eyes become very irritated, red, itchy and swollen. I also get a constant discharge that makes life very difficult for me. Antihistamine eye drops literally save my life during allergy season. I know antihistamine eye drops are available OTC, but I use prescription ones. My doctor prescribes it for me, along with me regular allergy medication.